The sky was cloudless. Sunlight fell in long tongues of leaf-speckled yellow on the cobblestone, and the air was thick with pollen. It was all perfect (and dangerously close to the point of being sickening). Of course, the English weather crept back by Monday afternoon, and everyone dutifully went back to umbrellas, boots, jumpers, and active swearing. Every time I complain about the chronically disappointing English summer, my mother gently reminds me that it is 40°C back home. So nowadays I oscillate between feeling guilty about having it easy and feeling rather sad about perpetually wet towels and really cold mornings on exam days. Sniffling and sighing frequently take over efficient morning reading. 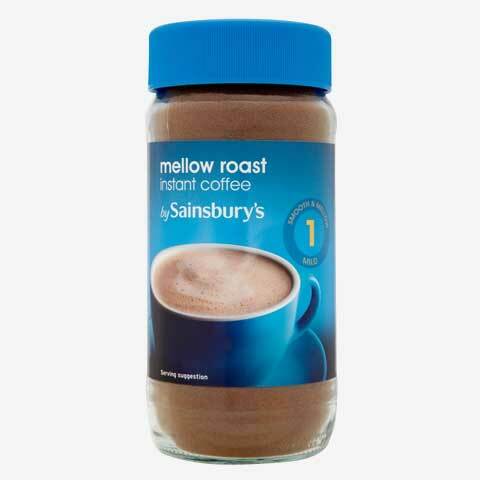 The best antidote to self-pity and every other ailment in the world is, of course, Sainsbury’s cheap coffee powder. Damp summers, loveless springs, chilly autumns, and deadly winters are all made better by the consumption of insane (and probably damaging) amounts of this disgusting, bitter liquid that burns down your oesophagus and renews hope in budget-living and weather-defiance. While some of my restrained British friends sneer at my tasteless caffeine choices and drink their Earl Greys and Fresh Mints with an air of refinement, I am ever faithful to the wondrous joys of awful, cheap supplies. When I arrived at Cambridge to study three years ago, I somehow lugged that suitcase—remember the suitcase?—up to my room, sat down on the bed and shivered for an hour before I could make the call to my anxious mother and tell her that I’d made it. I was a fortnight early and utterly alone—there were no freshers, seniors, or even lecturers to be seen. The weather, I found out much later, was lovely. Apparently that year had been one of the warmest, longest summers in England in a decade, and I found people dutifully wearing summery clothes and licking ice-cream out on the streets. Soon enough, I got to see the hordes of tourists that Cambridge attracts every summer. These good-natured, over-keen men and women walk around, make excited noises at all the buildings, and occasionally earn the wrath of the exhausted undergrads by clogging up narrow lanes that lead to lecture halls and supervisions. I used to be one of those gaping, photo-clicking people. I do not think, even after all the bad winters and deadlines, that there is a choice. It is all just so breathtaking: Cambridge is one of those surprising places where splendour and suburban quietness coexist in quaint cafes lodged within churches and Neo-Gothic spires looming over tourist shops. It is a strange contradiction, nestled safely in kind, generous moments that will hopefully not come to an end soon. But to a child of the tropics, even the warmest, prettiest summer in this land can be a lot to bear. The ‘breeze’ blows with an energy that is reserved for thunderstorms back home; the temperature dips unexpectedly in the shadows. The sun is a shy little ball of cuddly warmth that has no handle on the angry blaze of the tropics. My first two months in Cambridge were spent trying to understand the concept of British food. I come from a family neither affluent nor interested enough to have international holidays, and the ’90s—at least the nooks of the ’90s that I grew up in—had very little space for English food. Growing up in Calcutta, Flurys and other Park Street temples of gastronomic sophistication were duly gaped at and bypassed on ramshackle public buses. My mother is the queen of turmeric, mustard, and fish-related culinary artistry, and consequently, my idea of delicious is firmly based in spicy, hot Indian, and birthday-special treats of the Indian-Chinese. The author is ever faithful to the wondrous joys of awful, cheap coffee. Things changed—financially, culturally, and ideologically—as I grew up. We moved to the city proper. I began to affect the mostly pathetic teenage swagger that enabled one to swear that American films had always been their cultural staple and that they only ever wore things bought at malls. (Incidentally, just admitting some of the beliefs I had held at the time makes me want to go back in time and coax/slap/punch some sense into the monkey-child that I was.) One of the more common modes of attaining exclusivity and privilege at that age was to talk about bacon and scrambled eggs and syrup on waffles. Café Coffee Day and Barista were, of course, great for photos with all sorts of exotic sounding coffees. Food, like everything else, became a way to form and fashion a social self. It surprises me now that of all the things I picked up at the time in the name of belonging, food somehow escaped the list. I had stuck to the aloo-kabli in front of the school, the biryani at Tinny da’r Dhaba, and the ‘spesaal’ chilli chicken at the neighbourhood food stall in spite of all the encouragement towards ‘sophisticated’ food. Imagine my horror, then, at realising that undercooked meat and soggy vegetables—buttered Brussels sprouts were actually a thing—were the only fare at the college hall. I could rant and starve as much as I wanted (and I did both all the time) but the food was not going to change. I watched with a sinking heart as some of my friends actually began to praise the food. I found out only later that the food at college was not quite representative of British cuisine: the potatoes were hard, the curry was not so much a curry as a thick orange blob, and the meat—well, the meat turned me into an inadvertent pescetarian. But I kept hearing from the local students that things would get much better as soon as I started eating out. Things did not improve much. The only food I warmed up to quickly was scallops and chips: crunchy and unhealthy and everything you could want from greasy, delicious comfort food. But that was all. Food salvation in the United Kingdom was not to come until my second year. I think my first memorable meal at Cambridge was in an Indian restaurant. I’m don’t quite remember which one it was but I distinctly remember the peacock-patterns on every fabric and the tunes of Jiya Jale playing at the back. Hindi songs, I should add, become a force to reckon with outside the motherland. There is something about the unashamed, sincere, and fulsome music that makes one cringe at first and then break into a huge smile. The portly manager of the restaurant had managed to preserve the language of Indian dining establishments without too many changes (‘Fully Air Conditioned’ at a place where the temperature seldom climbs above 25°C). He looked distinguished in a linen shirt and bandgala jacket and smelled suspiciously of paan masala. He wanted to ‘serve personally’ since there was an Indian in the group. I ended up having to ask him about the dishes since I had never had jalfrezi, dhansak, or ‘the regular curry’ in India. But all would soon be well—I had found the mutton rogan josh! By this point I was hungry and the aroma of lachcha onions and lime pickle was unbearably lovely, so I decided to order the safe choice as quickly as I could get the words out of my mouth. At this point, there was a pause and the manager asked me if I knew that the menu meant lamb when it said mutton. The horror. The college hall served lamb on most days. The hard, bristly texture and the smell that never let you forget you were eating a dead animal were fresh in my mind. I quickly revised my choice to something with chicken in it. ‘Authentic’ Indian food is so rarely available even in India. Chicken tikka masala was invented in Glasgow. Chicken tikka is an Indian dish, but the curry-fied angry yellow adaptation is purely British. I have to admit, though, that in spite of my difficulties and differences of opinion with British Indian food, I have become a reluctant fan. An angry yellow curry is better than no curry. It took me a whole year before I discovered the Indian food scene in London, which is, of course, significantly nicer. One fine day, I discovered Chennai Dosa, an adorable no-frills South Indian restaurant in Wembley. It was almost overwhelming to walk in and see the familiar steel compartmented plates heaped with actual crepe-y dosas and thick sambar. The prices were unbelievable, too. If going to London frequently was sustainable on student finance, I would probably be eating there every week. Soon, I took a cheaper exit out of eating awful food: I started cooking. My cooking experiences have ranged from hilarious to downright tragic. It would probably take the length of an essay to talk about the trauma that was cutting meat for the first time (reason #43798 for edging towards vegetarianism) and my horrific first attempt at saag paneer. The important thing, however, is that being the lazy bum that I am, reaching a place in my life where I could cook for myself (and a few tolerant others) would have not happened without the spectre of Yorkshire pudding and steak looming above the plate. Over time, I have even learnt to make idlis using the microwave and malai chicken on the hob. All this from someone who could not cook rice a few years ago. These days, my life regularly involves recipes, spices, and frequent use of a blender. The only thing that remains indispensable, of course, is the muddy coffee. Parvati is an apprentice tailor-soldier of words. She lives on endless coffee and deadlines.